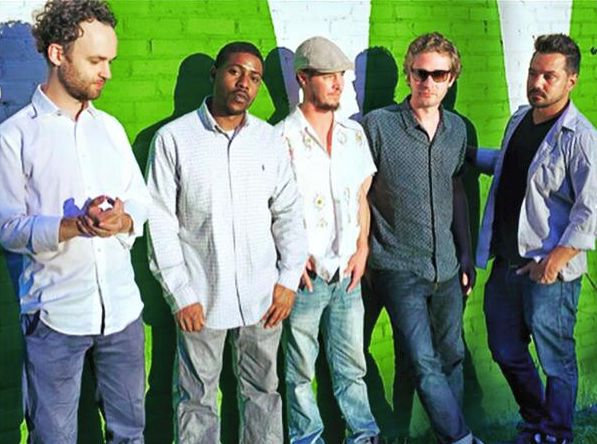 We like to brag about the great music coming out of the Sunshine State, and that goes double for funky fusion. Electric Kid, Guavatron, JOOSE, Justino & the Difference, Leisure Chief, Locochino and Serotonic are just a few examples. 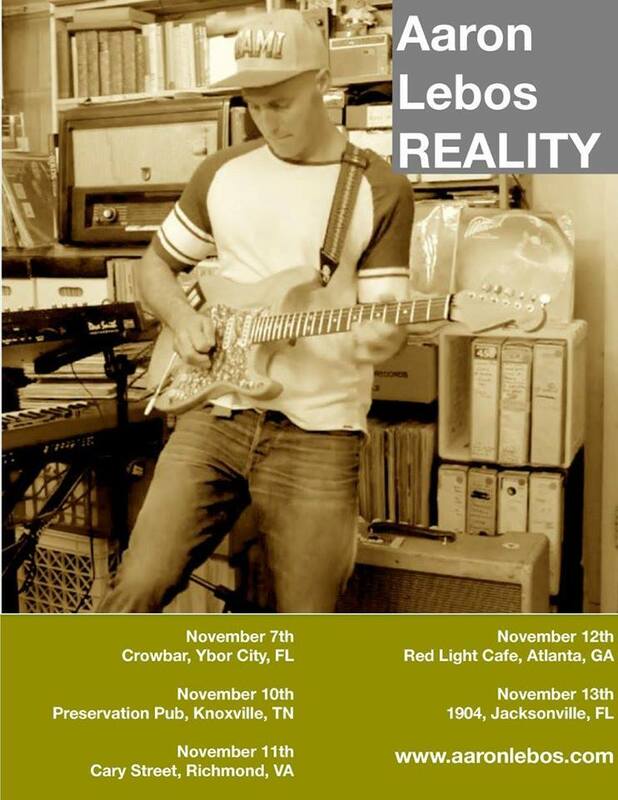 One more prominent exponent of the genre is The Aaron Lebos Reality from Miami. 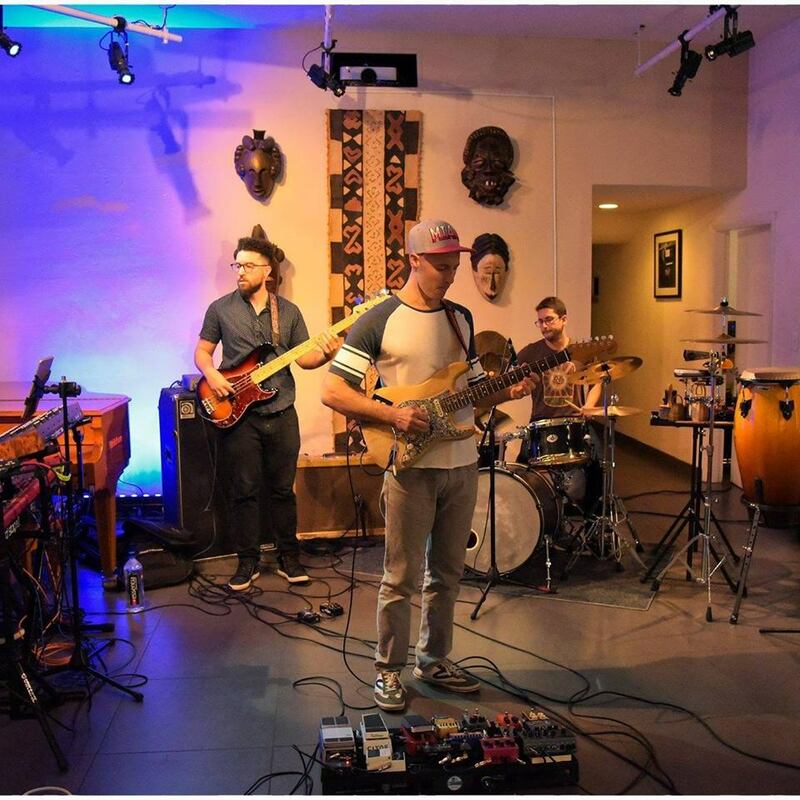 Leader Aaron Lebos, who plays guitar and composes much of the music, is joined by Rodolfo Zuniga, drums; Eric England, bass; Pete Wallace, keyboards; and Brian Potts, percussion. Our shows are high energy bolts of progressive but accessible funk / jazz / rock / jam / world music and mixes that have no explanation other than sounds that go straight to the soul of the listener. They are on the road starting Tuesday at The Crowbar in Tampa (a free show! ), back to Miami, then a whirlwind run through Knoxville, Richmond, and Atlanta before returning to Florida.